Many digital nomads among us tend to drive RVs all over the country. They’re the lucky ones. Like turtles, they carry their houses with them and wherever they are, they’re home. The rest of us, when we’re not at a longer-term VRBO or other home or apartment rental, are found sleeping on cheap hotel/motel mattresses, on the mattresses of kind friends and family we’re staying with, on air mattresses, or even on the cold, hard ground when camping. RV-ers get to choose their sleeping arrangement every night and the know they can count on it being more or less the same experience each time. Here at Worldwide Watsons, we do research on products that we believe will benefit all digital nomads. It just so happens that we’ve found a product that benefits the RV set immensely. As you can tell, this post is for all the RV-ers who still haven’t quite found the right mattress to meet their needs. Maybe the mattress you have is one that came with the RV when you bought it. Or, maybe it was the cheaper but not necessarily the most comfortable alternative on a tight budget. You have probably found yourself in the “uncomfortable” position of having to choose between the awesome digital nomad lifestyle and a good night’s sleep. 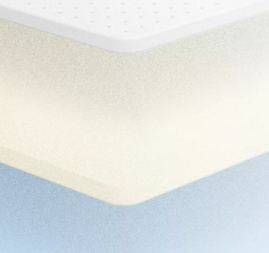 There’s a new product that is poised to disrupt the mattress industry. It’s called the Casper mattress . What caught our eye about this mattress with a friendly name was a CNN “puff piece” about the company and its single product. Specifically, it was the part of the video about the way the mattress is shipped. Usually you think of a mattress, especially a king or queen-sized one, being about the hardest and most expensive thing to ship this side of a piano. 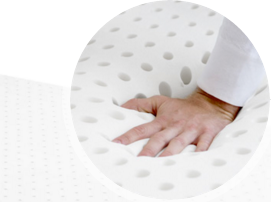 The mattress was developed as part of a scrappy little startup run by entrepreneurs Philip Krim, Jeff Chapin, Gabe Flateman, Luke Sherwin, and Neil Parikh in April 2015 beginning with 25 employees. Having done their market research, they knew the public was ready for something new in sleep comfort. Sleep Number mattresses are complex and bulky, and “mattress warehouse”-type mattresses are all the same and soon lose their form. Using data gathered from many different sources, they built and tested dozens of mattress configurations until they were able to conclude that one specific combination led to a better night’s sleep. Two factors were key: bounce and sink. In other words, they wanted to balance the countouring that occurs when you lay on the mattress with the ability of the mattress to return to and keep its original shape. 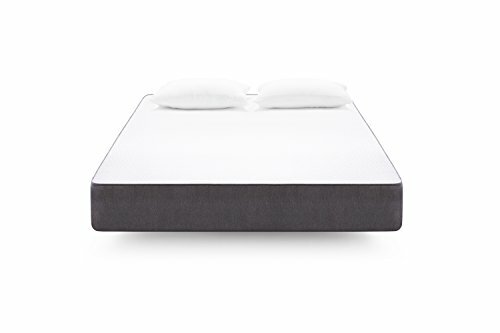 For anyone who hates the dent that appears where they tend to sleep the most on a mattress, this is a wonderful thing! The top layer is hypoallergenic latex foam with open cells for ventilation. No more sweating on a hot mattress in warm weather. The next layer down is composed of memory foam that keeps its original shape pretty much forever. The third layer is a thick layer of foam. All three layers are enveloped in a woven cover. But, get this…the cover is removable! If you’ve ever wanted to wash the grubby cover of a traditionally-made mattress, you’ll appreciate the ability to take the cover off a Casper, toss it in the wash, and put it back on just as fresh and new as when you bought it. Nice! 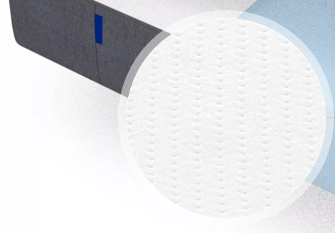 One hundred percent of the Casper mattress is made in the United States, from the covers being hand-sewn in Illinois and South Carolina to the insides being made in Georgia and Pennsylvania, it’s a guilt-free product if supporting American workers is high on your list of values. Delivery is free via UPS in the U.S. and Canada. If you happen to be a digital nomad living within a 60-minute delivery time-frame in New York City or San Francisco, you’ll get courier delivery for free. Casper seems to stand behind its product. It carries a 10 year guarantee. And, you get to try it for 100 nights. If for any reason you don’t love it, Casper will pick it up and take it back free of charge. Our family isn’t an RV family. We have two vehicles, neither of which is big enough to carry a full-sized mattress like the Casper. But if we did have an RV, we’d definitely be buying this, at least for us adults. Given the 100 night trial period, it should be more than enough to figure out whether it suits us. Your own mileage may vary, especially with something as personal as a mattress. If you like it, or if you don’t, please be sure to review it on our product page.